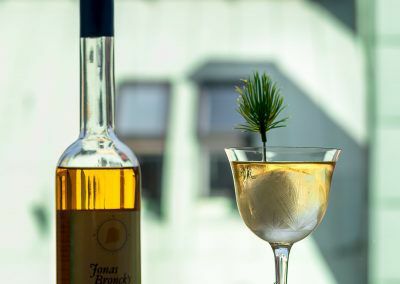 We wanted to make a very Swedish cocktail, and were kindly gifted a bottle of fir liqueur from Jonas Bronck’s Spirit. 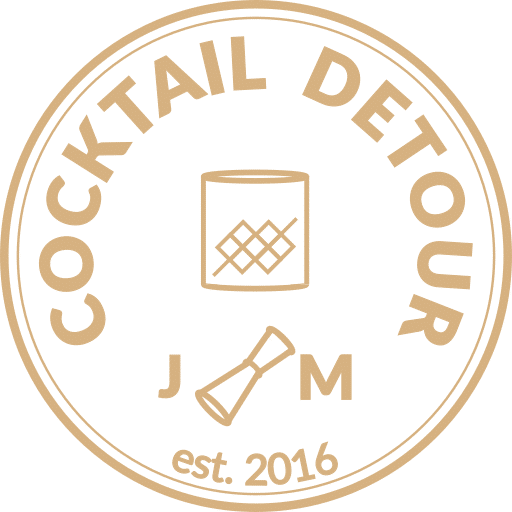 Swedish Jonas Bronck, born around 1600, emigrated to America 1639 and is believed to be the man naming The Bronx county in the USA. Some two hundred years later a lot of Swedes emigrated to America to leave poverty and famine behind them. Still today there are Swedish villages in the USA, for example Andersonville in Chicago, where we have visited. 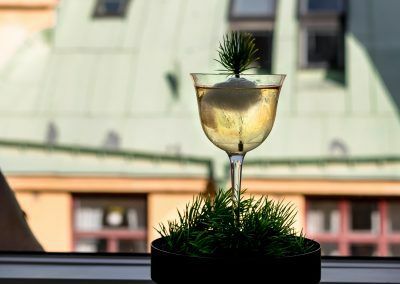 Fir is one of the most common trees in Sweden, so turning this into a drinkable product is awesome. 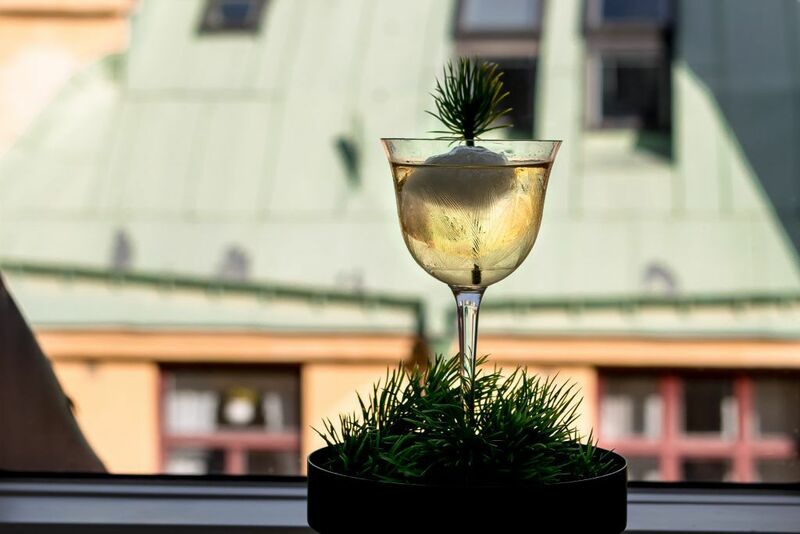 Gran is the Swedish word for fir, hence we named this cocktail the ”Gran Martini”. 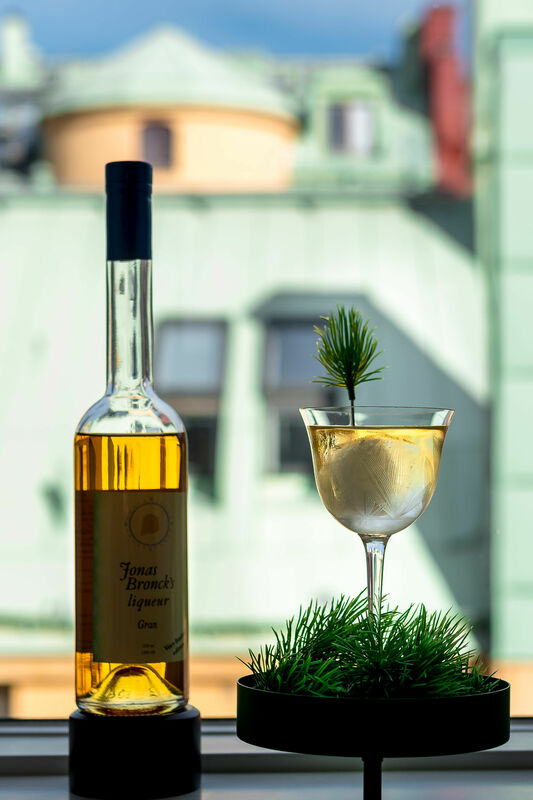 We wanted to let the fir liqueur shine on its own so we only paired it with a neutral gin and some dry vermouth. 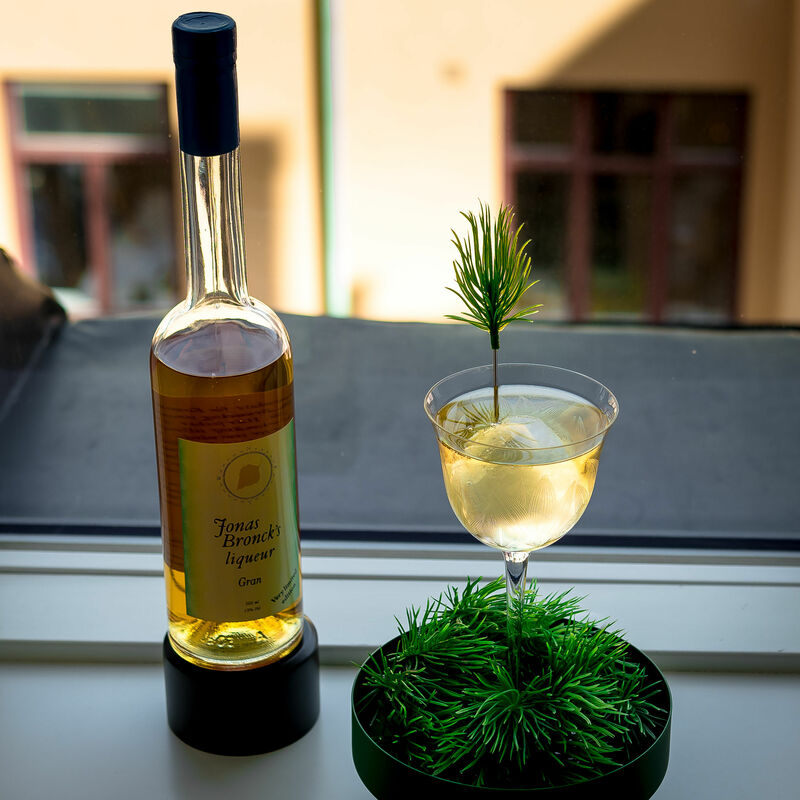 As the fir liqueur is semi sweet we ended up with something less dry compared to an original martini. 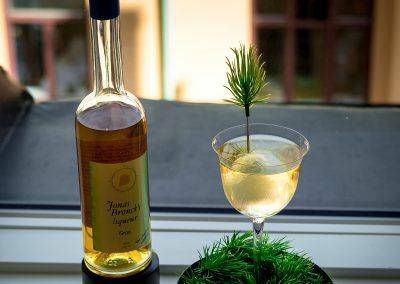 However the sweetness the liqueur added is so pleasant, and it creates this smooth cocktail with true taste of the forest. Stir all ingredients with fresh ice. 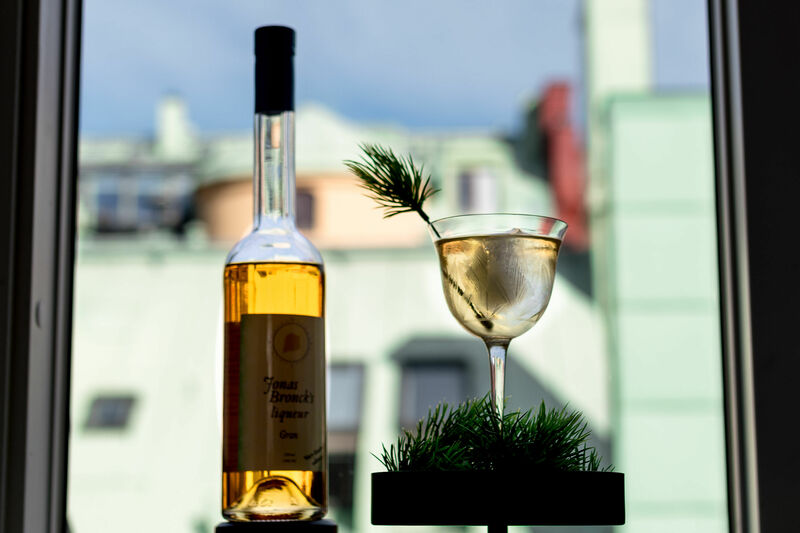 Fine strain into an elegant coupe and garnish with fir.